These rugs are top-quality, durable, 100% high twist Nylon, and made in the U.S.A. They are available in three sizes. 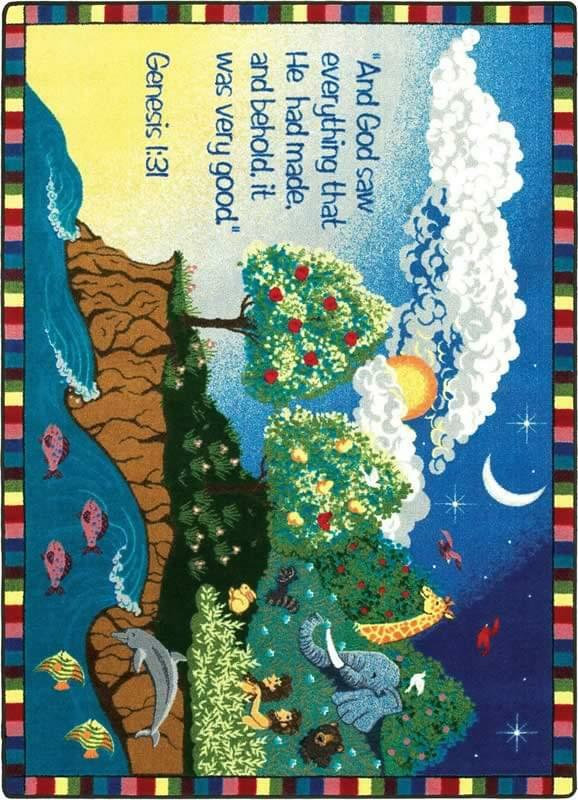 The seven days of creation are beautifully depicted on this stunning carpet. Children will delight in tracing God's handiwork from the introduction of light into a dark world to the creation of Adam and Eve. Creation© Rug - 7'8" x 10'9"
Creation© Rug - 5'4" x 7'8"
Creation© Rug - 10'9" x 13'2"